Are you a small business owner or marketing manager for a medium sized business? If you are, and you’re successful, you’re probably using social media channels, like Facebook, to market your business. These powerful tools have tremendous reach and active user bases. If you want to maximize your digital marketing efforts, review these 5 common Facebook marketing mistakes and learn how to fix them! You won’t be able to avoid spending money if you want to reach an appropriate audience on Facebook. The key to maximizing your ROI is determining the proper budget. Because many small businesses make the huge mistake of being too stingy, it pays to evaluate your limitations and to construct cost-effective and engaging Facebook ads. As you can see, it’s very easy to misjudge your Facebook advertising budget, which can waste time, money and can keep you from earning the attention you seek. How to fix the problem: If you have a limited budget, make the most of it by using a good portion of it for strategies that are proven to work. Using Facebook’s Power Editor tool will target a specific audience by allowing you to specify, in great detail, where and when ads will be placed. You never want to talk “at” your followers, ignore your audience or isolate any individuals by making your page appear unapproachable. How to fix the problem: Create and share content that your followers can use and make an effort towards humanizing your brand. 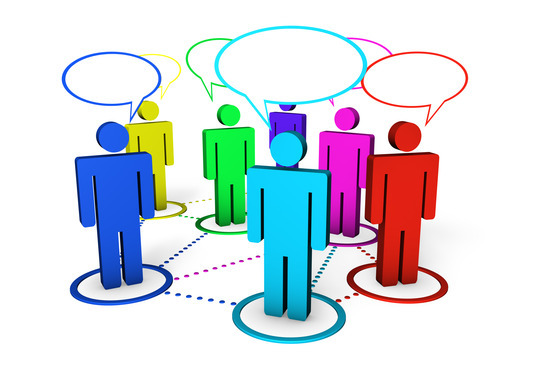 You want to start a dialogue between your business or brand and your followers. Your content will be considered weak if it comes off as a continuous sales pitch or a boring mess of information. How to fix the problem: You want posts that are relevant, attractive and helpful. Additionally, research shows that including pictures, video, infographics and other visual content gets more engagement than text. Violating Facebook rules can get your page penalized, or even taken down, which can be a real nightmare! However, having Facebook pull the plug on your page is a situation that can be avoided. How to fix the problem: Go to the source (Facebook) and carefully read their guidelines and go over their terms of agreement. Become familiar with how to correctly follow the rules set out by Facebook. You may be thinking; this one sounds too easy to be true. Well, you’re right. All you need to do is update your page every once in awhile. You’d be surprised at how many businesses don’t regularly update their Facebook page. As a result, these pages may appear to visitors to have been abandoned! How to avoid the problem: Remind yourself to post content consistently by setting up a regular updating schedule, which means posting a few times a week at minimum, if not multiple daily posts. Then your followers or fans learn to expect regular content updates from you, and they’re more likely to keep coming back on a regular basis. Hopefully reviewing these 5 common Facebook marketing mistakes will allow you to maximize your content’s potential digital reach. Facebook is a great place for businesses to connect with their potential audience. But, just like anything in business, you must diligently plan your Facebook marketing strategy to make the biggest return on your investment.